The natural environment has always inspired Pam as an artist. She is an art teach and painter of Midwest Prairies. 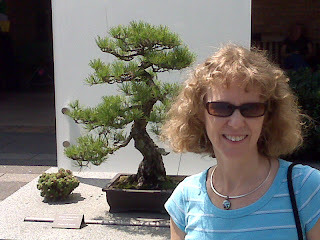 She likes to think of bonsai as being living works of art, ever changing as they are sculpted into mature trees. Back in 1996, she bought a tree from Charlie White (one of the founding members of the club) at a show where the club was participating. She worked with bonsai on her own for a little while and then joined the club. She has been an active club member since 2001 and serves as the club Treasurer and Director of Membership. Contact Pam either by email or by phone at 563-322-5219. To send a general question to the club, please visit the Contact Us page.